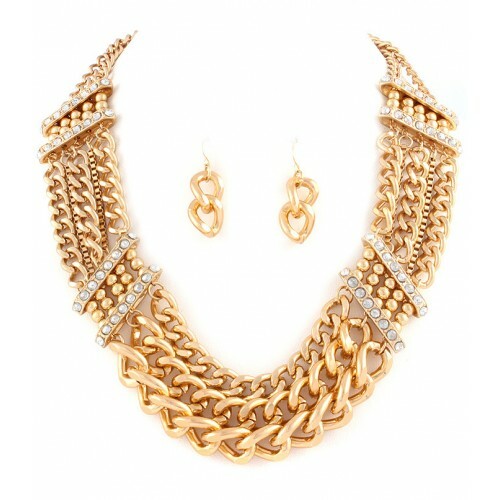 Terri set includes an exquisite and bold gold plated chunky chain necklace and the matching earrings. Three large chains with two small chainlets among them, exquisite metal details at both sides with clear crystal studs. Order this gorgeuous necklace now from Australia's fastest growing online jewellery store.